On 21 October, the Centre assured the nation that there is no need to panic, after 3.2 million debit cards were declared to be at risk from fraudsters who'd stolen crucial data allowing them to siphon off funds. The government also assured that an enquiry is underway and that the computer trail leading to the guilty will be discovered soon. Amid the sense of panic among Indian customers, the Centre on 21 October assured the nation that there is no need to panic. 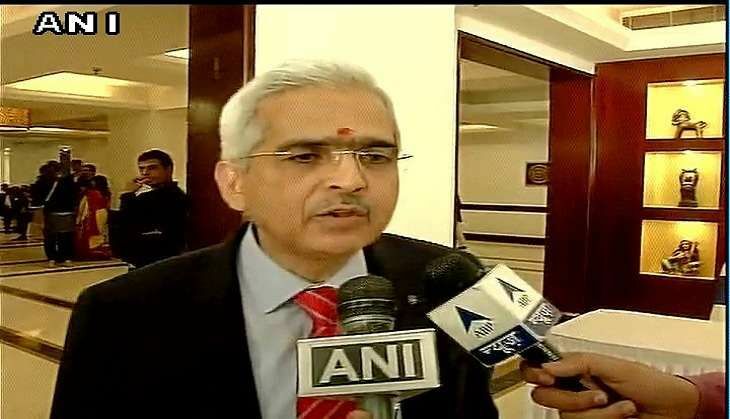 Speaking to the media, Economic Affairs Secretary Shaktikanta Das stated that some elements outside India have carried out the hacking and have misused the debit cards. "So in that regard we have sought detailed reports from the banks and the RBI will also launch an investigation into the matter and so will the Finance Ministry. From the government's stand I would like to say that Cyber Security is an issue of paramount importance as it is linked with financial security," he said. Asserting that there is absolutely no cause for alarm among customers, Das added that firm action will be taken once they receive the report from the banks. The finance ministry has asked for a detailed report from RBI and National Payments Corporation of India (NPCI) about the debit card information breach. Earlier, according to a statement issued by the NPCI, 641 customer complaints from 19 banks have been received and the amount involved is Rs. 1.3 crore. "All affected banks have been alerted by all card networks that a total card base of about 3.2 million could have been possibly compromised. It was established through the analysis after such frauds were reported that there was a possible compromise at one of the payment switch provider's system. Based on the analysis, NPCI and other schemes identified the period of compromise and the possible card numbers which could have been compromised during that period," the statement said.